If you have a website, you should use SSL. It doesn’t matter whether you sell anything, or whether you ask visitors to fill in a form. When you visit a website, data about your computer travels across the Internet. A Secure Sockets Layer (SSL) connection makes sure only the intended receiver can read it. Hackers, spammers and spyware programs can try to intercept web traffic. They could scan the information for whatever they want. They may get email addresses, names, transaction details, search terms, or details about your computer. They could be trying to pose as some other business. SSL functions a bit like sealing wax did centuries ago. SSL certificates verify the sender’s identity and assure privacy. The SSL’s presence helps confirm a website you visit is authentic. And it confirms the data is secure as it travels the Internet. 1) A lock icon appears in front of the address. 2) The web address begins with https (not http). 1) Earn Trust: People want to feel safe on your site. Visitors want their privacy protected on your website — even if they’re just looking. You earn trust when your site shows proof of a safe connection. 2) Better SEO and Search Engine Ranking: Does Google rank SSL sites higher? Yes, Google does. Way back in 2014, Google officially announced it started “to use HTTPS as a ranking signal.” That means Google’s indexing system will check for an SSL certificate on your site. The SSL factor weighs into where your site ranks in results. An SSL connection gives Google one more reason to boost your rank above sites without SSL. Of course high quality content is another signal with weight — maybe more weight. How much Google weighs your SSL factor is not known – but Google mentioned in 2014 it may increase in importance over time. 3) Avoid Damage to Your Brand Reputation: Without an SSL certificate, people may see warnings your site is not secure. Your website may work without an SSL certificate. But your visitors get a bad first impression when browser messages warn against connecting to it. 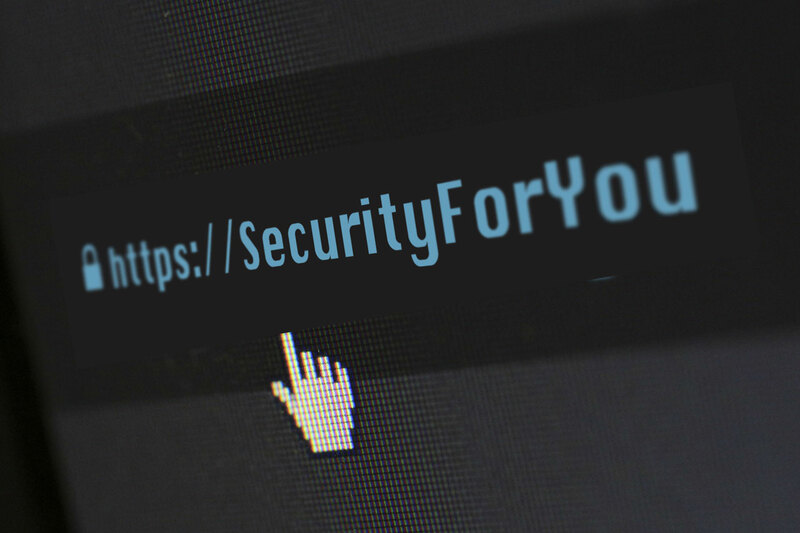 Security warnings can flag your website as “not safe.” Even if your site is perfectly helpful and well built, most modern browsers show warnings if your site lacks an SSL certificate. You can see the circled “i” instead of the lock icon. The same circled “i” appears on the mobile Chrome browser. That’s another clue that SSL is not in place. It could be the SSL certificate isn’t installed properly, or is absent altogether. If an SSL certificate cannot confirm a secure connection, browser warnings may be more severe. Warnings are like broken sealing wax — a sign that privacy isn’t assured. The browser may even block visits to the site altogether. You can safely explore a whole range of SSL validation warnings for yourself. 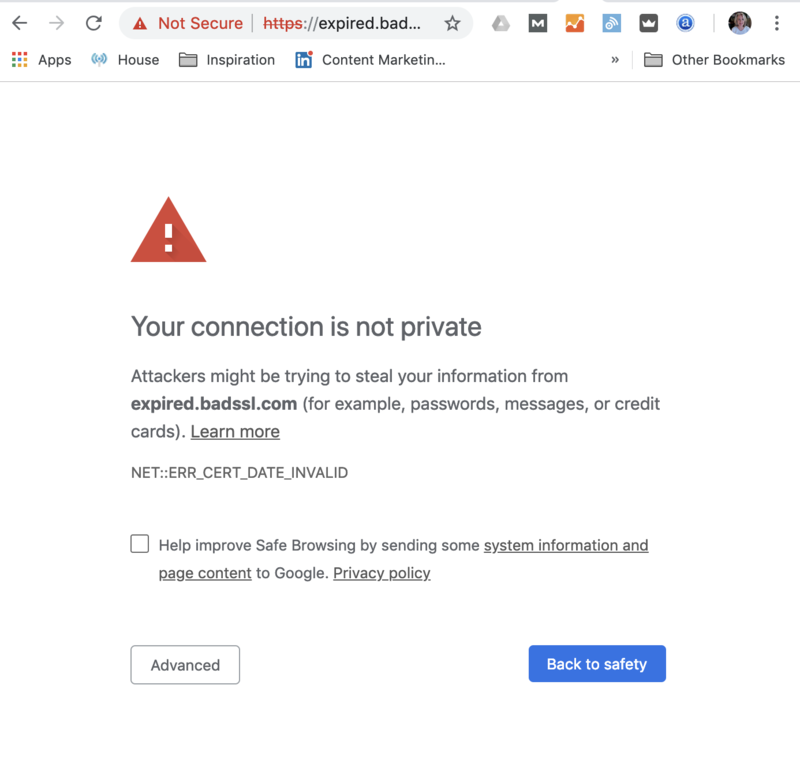 Google has published an open source project — Badssl.com — to illustrate several errors SSL can identify. Badssl.com is intended to help people test browsers for SSL processing. But it’s also a safe way to see what SSL does to warn people about connections that are not secure. Squarespace.com (you may need to adjust or customize your settings). You (or your webmaster) may need to set up your SSL connection. In my experience with many hosting services, SSL certificates are not enabled by default. Hosts like InMotion.com, SiteGround.com, Hostmonster.com and offer free SSL encryption. But you need to install SSL certificates and put them in place. Often, installing an SSL certificate is straightforward, using the tools available from your web host. If you have a WordPress Website that needs an SSL certificate, check with your web host. Your webmaster or IT contact may provide an SSL certificate. The plugin, Really Simple SSL can help you activate it on your website. Freelance webmasters like me can also help you — contact me here. What does an SSL do? Using SSL protects the privacy of information between you and your visitors. That’s good for security, marketing and customer relations. It’s visible proof that you respect and protect visitor privacy. It verifies that you are the authentic business behind the website. And it adds a factor in your favor to rank higher in search results. If you run a business, you want to give your Web presence every advantage. Using SSL is a worthwhile step to take to get the most out of your website.